Amazon is debuting a new original animated kids series, Niko and the Sword of Light, on Prime Video which can be streamed to televisions, computers and a variety of mobile devices beginning July 21, 2017. My eight year old twins had a chance to watch the 13 episode first season of Niko and the Sword of Light before its official release courtesy of Amazon.com and they were thrilled by it. The story takes place in a once peaceful world full of fantastic creatures that has been enveloped for centuries by the dark magic of the evil sorcerer Nar Est. He has transformed many of the creatures into dangerous mutated monsters. The original rulers though have used their own magic to shrink the royal palace along with its inhabitants and place it within a snow globe-sized crystal that is impenetrable by Nar Est though the villain can literally hold them within his grasp. While the palace's inhabitants can't leave the protection of the crystal globe, they have been utilizing magical energy to create "Champions" to fight Nar Est on their behalf out in the world. Once every generation a new powerful adult warrior is grown outside the crystal globe from a hidden chrysalis. He emerges with a sword made of light powered by a crystal shard with the mission of defeating Nar Est. This has gone on for hundreds of years and none of the Champions have yet been successful in overcoming the darkness plaguing the world. The first episode of the series begins with an accident causing the newest Champion's chrysalis to open early. Instead of an adult emerging out comes a 10-year-old boy named Niko. The royal palace's council of elders is able to send Princess Lyra to accompany and guide this boy in the world but doesn't have the power to bring her back within their protective enclave. They hope she can protect the boy long enough for him to grow up to be the Champion who finally defeats the evil sorcerer. The series follows the exploits of Niko, Princess Lyra and a cast of crazy critters that join them as sidekicks as they traverse the world hoping to reverse the darkness created by Nar Est. Will Niko be able to free his people and return the world to light? 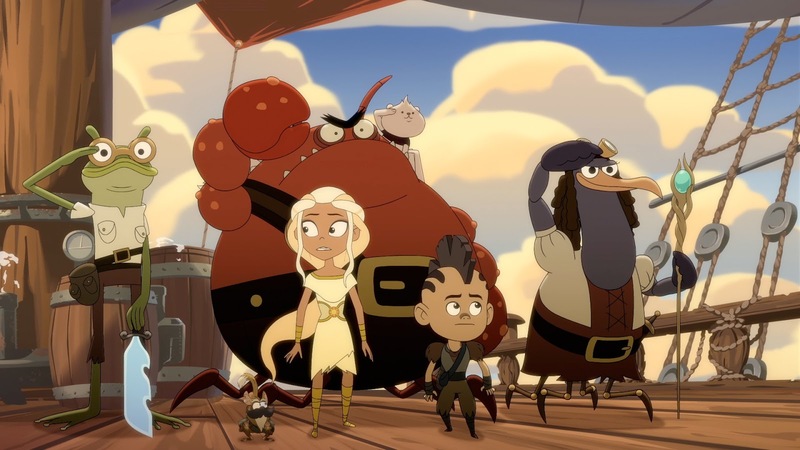 You'll have to tune in to find out by streaming season one's episodes of Niko and the Sword of Light from Amazon's Prime Video service. My son said the show was "Amazing!" He particularly likes seeing Niko undo Nar Est's magical curses on monsters with his light sword and seeing what the animal freed from the sorcerer's darkness looks like. My daughter on the other hand likes checking out Nar Est's mutants and guessing what animals have been combined to create the monsters that Niko faces off against. One of her favorites was a giant mutant that combined a bull with a spider. While this is a children's show and my own kids love it, be cautious about allowing preschoolers to watch it. 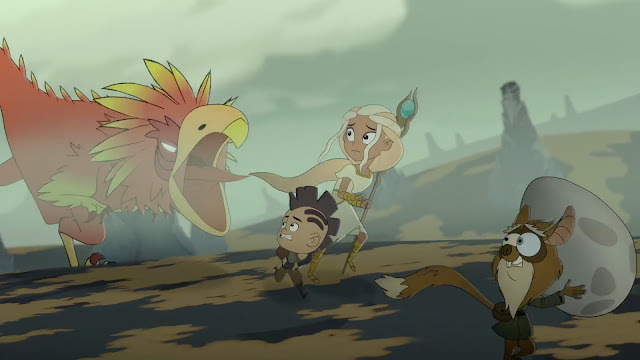 Niko and the Sword of Light is a combination of Dungeons and Dragons with Pokemon. There are lots of adorable creatures in the show but also some really menacing monsters in it that include flying centipedes, three headed hyenas and the giant mutant spider bull I earlier mentioned. I could see both of my twins having nightmares after watching some of these episodes if they were a few years younger; but they've both thoroughly enjoyed the show at the age they are at now. In my opinion Niko and the Sword of Light really is a show more geared for elementary school aged kids. This is one of those show's you're going to have to make a parental determination about whether it is a good fit for your own particular child when dealing with younger children. Niko and the Sword of Light is full of wonderful imagery. They really did a great job with the animation! Inspired by a motion comic app created by Imaginism Studios and StudioNX available on iTunes and GooglePlay, Amazon ordered a 22-minute pilot episode in 2015. 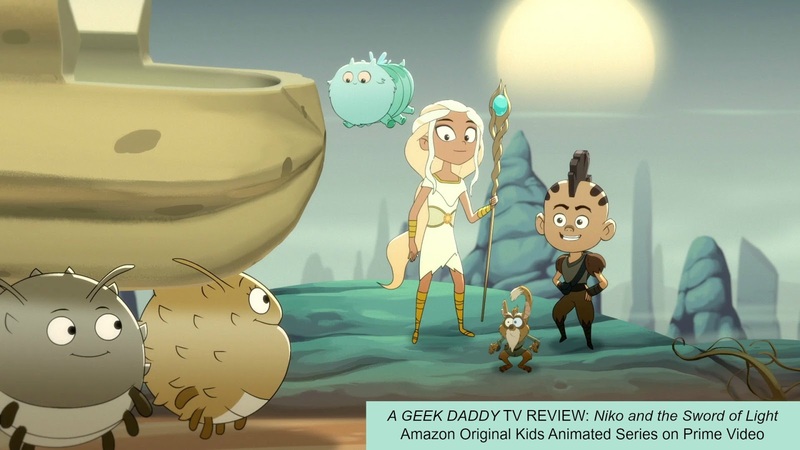 The pilot was an incredible success winning a Daytime Emmy Award for "Outstanding Children's Animated Program" in 2016 spurring Amazon to then ordered a full season of the show that is debuting on its streaming service beginning Friday, July 21st. You can also get a FREE digital Niko and the Sword of Light comic book that will be available on Comixology (also owned by Amazon) in conjunction with the animated show's release date. An Amazon Prime membership is necessary to view the full first season of Niko and the Sword of Light though the first episode is currently FREE to watch without a subscription. Niko and the Sword of Light has earned A GEEK DADDY nod of approval for its originality, energetic flair, great animation style, and most importantly because my kids delighted in watching it.